The recent legislation passed by the City of New York is a significant step towards minimizing the region's carbon footprint. The new legislation incrementally displaces 20% of the heating oil that is sold within the city with sustainable, cleaner-burning, biodiesel. New York City is once again setting an example for the rest of the Northeast to follow by ensuring consumers are provided with the nation's cleanest heating oil. Not only does biodiesel dramatically reduce carbon emissions, it reduces other harmful pollutants as well as smog, making New York's air healthier to breathe. Donnell Rehagen, Chief Operating Officer, National Biodiesel Board. The recently passed bill is expected to be signed by Mayor Bill de Blasio, and was passed by a 47-3 vote. As a result, there will be an increase from the presently 2% to 5% in the amount of biodiesel in heating oil across the city. The blend level then reaches 10% in 2025, 15% in 2030, and by 2034 it is expected to reach 20%. Various organizations such as labor organizations, heating oil industry, and environmental stakeholders extended their support to this significant effort. The New York Oil Heating Association has played a vital and vocal role in advocating for the increased use of Bioheat® fuel. We applaud the City Council for passing legislation that will reduce carbon emissions and improve air quality in New York City and we commend our partners in the environmental and labor community for their dedication to this issue. Heating oil in New York City is already, by far, the cleanest heating oil sold anywhere in the United States. The new Bioheat requirement, starting at B5 and eventually going up to B20, is a necessary next step to promote a more sustainable fuel that will reduce our contribution to climate change while enhancing green job creation, encouraging energy independence and supporting local businesses. It is anticipated that by increasing from a 2% biodiesel blend to a 5% biodiesel blend, reduced emission levels equivalent to taking 45,000 cars off the road will be achieved. By increasing the biodiesel blend to 20% emissions equivalent to removing over one fourth of a million cars will be achieved. Biodiesel is a clean-burning and renewable diesel replacement fuel that is produced from multiple resources like animal fats, soybean oil and recycled cooking oil. Biodiesel is the first fuel that was commercially produced across the U.S. in order to meet the EPA's requirements of an advanced biofuel. This is because the EPA has stated that biodiesel minimizes greenhouse gas emissions by 50% as compared to petroleum diesel. 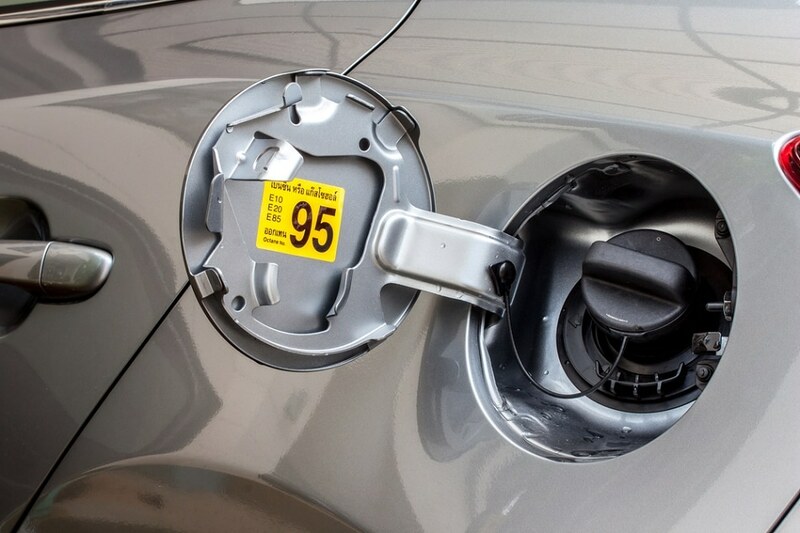 The heating oil market is not New York's only experience with biodiesel. The New York City had planned to replace around 9,000 diesel-powered municipal fleet vehicles with biodiesel blends in 2013. It started with the Parks Department that found it compliant, and hence it increased its biodiesel use to B20 in its vehicles. Other departments like the Department of Sanitation also followed suit, and started using biodiesel in all its fleet vehicles. Almost 80% of New York City's fleet fuel is consumed for sanitation purposes, and switching to biodiesel has compensated it. Since 2005, the City has experienced a 19% reduction in carbon emissions, and is in perfectly in track to attain an 80% reduction by 2050.